I'm back with another round up of this week's #LittleLoves- this I've been loving lately. After a busy half term break with the boys where we enjoyed days at home and lots of fun adventures, it's back to our normal routine this week. And while I loved the half term break, I always crave getting back into the swing of our normal routine. It's been a busy first week back though, with family visiting, our first ever school parents evening, an evening of trick or treating around our village for Halloween, as well as Little L trialling a second weekday at nursery and my 32nd birthday on November 1st as well. I think we are set for a quiet weekend ahead, hopefully with a bonfire and fireworks display to look forward to as well. 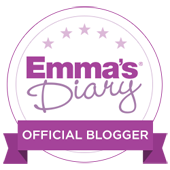 I was excited to see Kerri-Ann has started up her blog link up for #myfamilyadventures. She started this hashtag on Instagram and I love linking up to that when we go out on our many family adventures, so it's nice to also have a place to link up blog posts too and enjoyed reading all about her family adventures in October. One blog I find I go back to week upon week to read is Bump To Baby, written by the lovely Alex Gladwin. I really enjoyed reading several of her recent posts including their trip to the pumpkin patch. Her boys are so cute and are very similar in age to my two. Her photos are always so bright and colourful and are guaranteed to make you smile as they're so happy and cheerful. Waking up and being greeted by my boys singing happy birthday to me this week was one of the sweetest things ever. Yes, I turned another year older this year (32) and I had a really lovely day. I'm also having a trip to London next week with Richard and our good friends, so I'm calling that a birthday treat too. I got some lovely gifts too including a beautiful dressing gown from Joules, perfume, some beautiful autumn scented candles and lots of hair and beauty products too of course. Some of my lovely birthday treats- Mark Hill XL volume shampoo and conditioner, Champneys shower gel which smells like a spa treatment and is gorgeous, Sanctuary Spa Oil Body Scrub, perfect for winter skin, and a relax & unwind essential oil treatment by Potions & Possibilities. I also got some beautiful perfume by Juicy Couture, some bright orangey red nail polish by Models Own and the Beauty School Knockouts palette by Benefit. The products are just gorgeous, especially the eyeshadow and blush. We have been following the Great British Bake Off this year again, and I've actually really enjoyed this series. I wasn't sure if I'd defect once it was on channel 4, but I've thoroughly enjoyed it and even though I sit eating for the entire episode (does anyone else feel that urge to sit eating while they bake?) I have to catch up on it each week. I was so pleased Sophie won and I was rooting for her all the way through. It has suddenly got really cold and even though the weather is sunny and dry, I am one who really hates feeling cold and would rather layer up and feel cosy. Besides my trusty winter coat with giant furry hood, I've been living in snuggly jumpers and pairing them with jeans, brown leather ankle boots, a scarf and a bobble hat too of course. I love getting out my winter wear from storage and this year I re-discovered this pale grey jumper which was from Primark last year. I pair it with with a pale pink scarf or an oversized red checked scarf and bobble hat. Perfect autumn wear for the school run or doing errands in town. Cheating a little here as I haven't made anything at all lately, however we did make a little trip to the coast at Wells-next-the-sea over half term and pretended it was a hot summer's day by sitting on the beach and eating ice cream in the October sunshine. If you're a regular reader of my blog, you may have read in recent posts that I am thinking about steering my blog in a new direction. I'm not entirely moving away from parenting things and the kids, but you can expect to see more in the way of lifestyle, homes and interiors on my blog, as well as the usual things I love sharing such as travel and days out too. I had lost my blogging mojo and lost my way a little but I'm excited to see where I go with my new ideas and I'm feeling inspired again which I love. The new blog direction spunds great. Happy belated birthday. Looks like you were spoilt (in a good way) with presents. Happy belated birthday lovely! You got some gorgeous treats! Perfume is always a prefect gift for birthday and Viva La Juicy is one of my favorite. Being a fan of Juicy Couture Perfumes, I always admire their collection. My wife uses Daisy perfume for last two years and the fragrance is just amazing. Thanks for sharing this post.